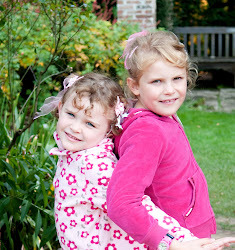 Hi, I feel a little rusty as have not had a chance to blog for a while but here goes! 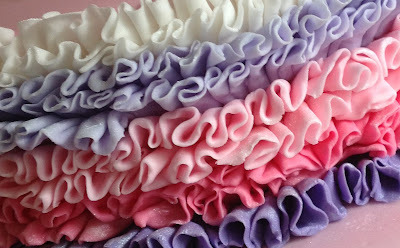 The ruffles are really easy to make (and quite addictive too!). 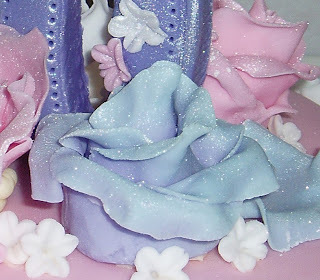 I simply cut lengths of sugar paste then used a ball tool to ruffle the edges. 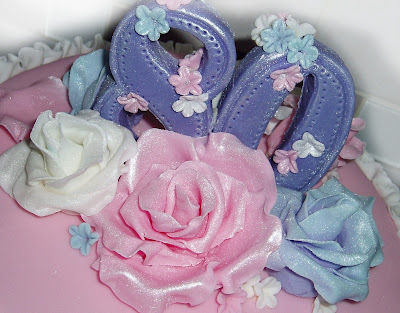 I then stuck them to the cake sides from top to bottom using a little water as adhesive. 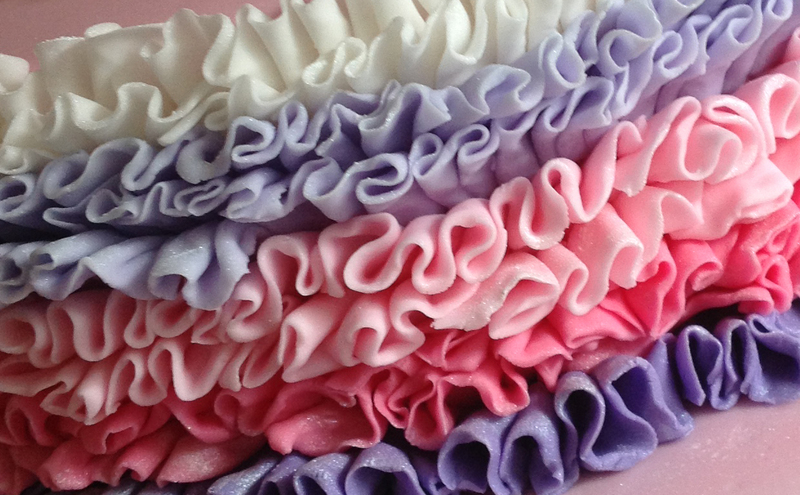 To create the depth of ruffle, I concertinaed the strips as I stuck them on. To create the ombre effect, I used a graduation of colours from top to bottom. To get the colours right, I found it much easier to create a range of coloured sugar paste balls first and lie them next to each other on my worktop. Start light then darken to suit until you get the perfect colour mix. of thin sugar paste around it, tweaking the petals as you go to achieve a natural shape. 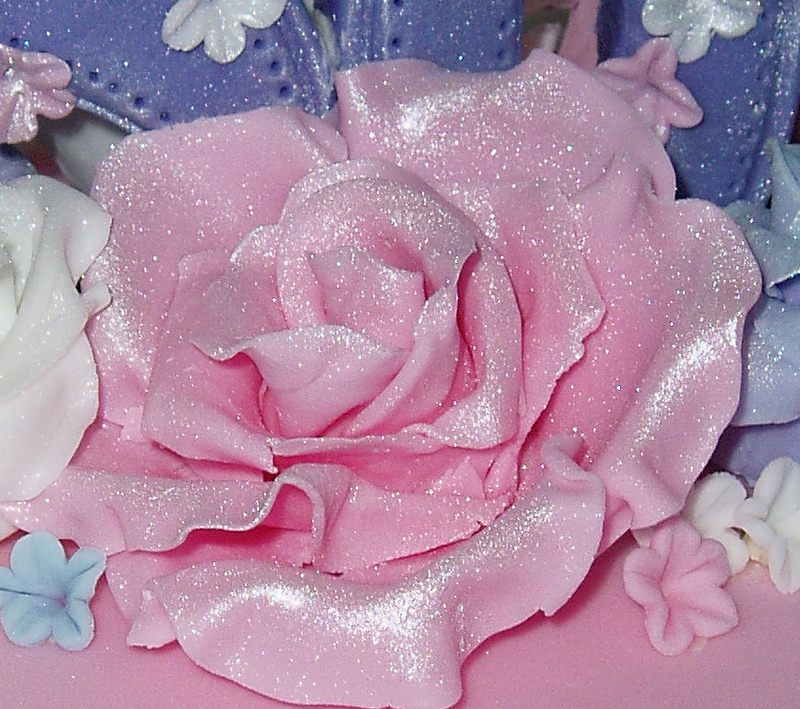 edible pearl lustre for a pretty sheen. The 80 was made but pressing a Papermania 8 and 0 clear backed stamp into a thick section of rolled sugar paste, which I then cut out, left to dry, added the sheen and mini flowers. used these to decorate the 80 and fill in any gaps! WOW Jill this is amazing. 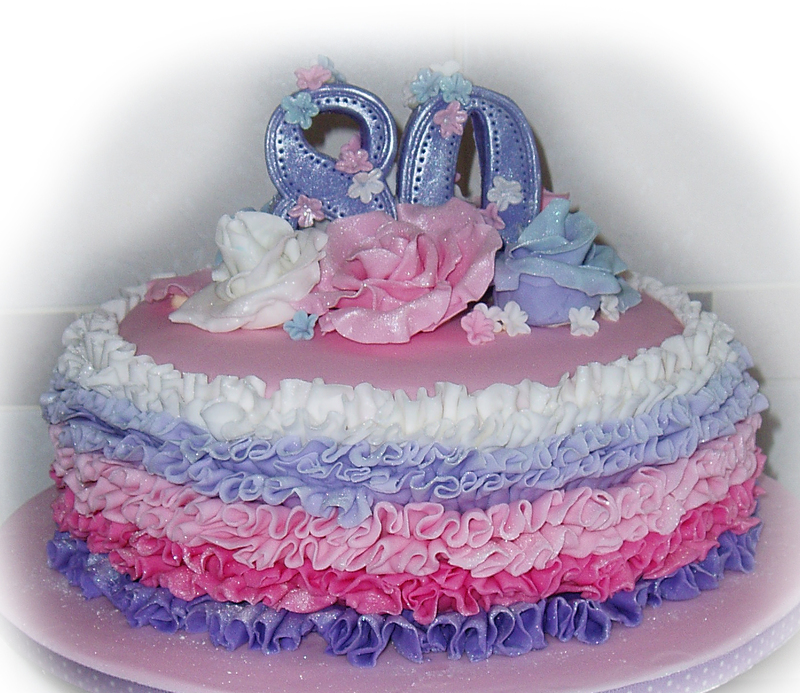 Loving the colours and the flowers looks fabulous.